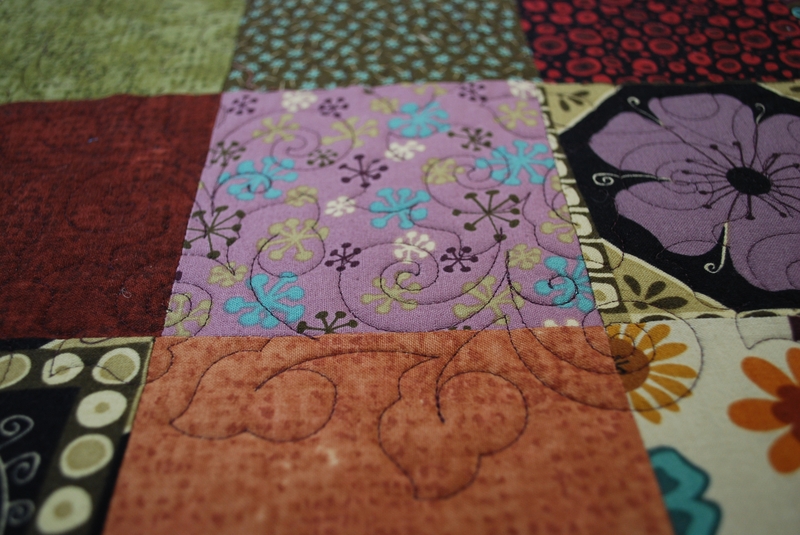 Sally has made a wonderful quilt for a young girl who loves purple. I think it is delightful, don’t you? 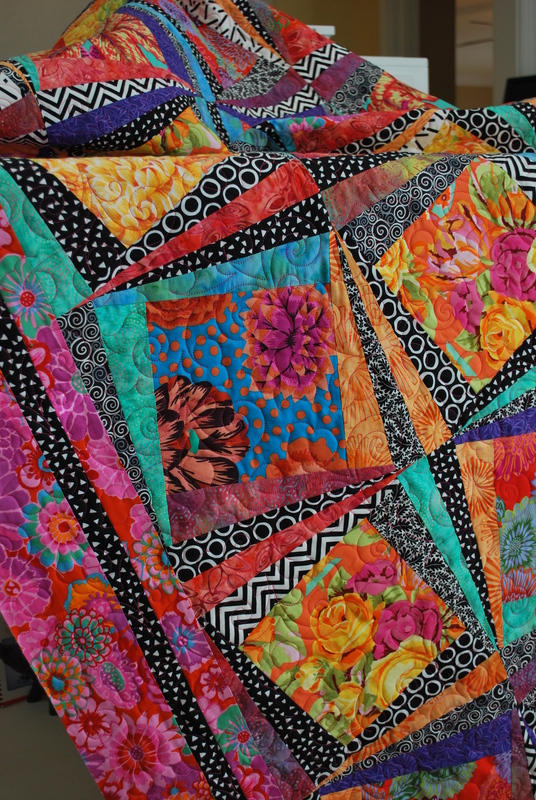 What young lady wouldn’t love this quilt. 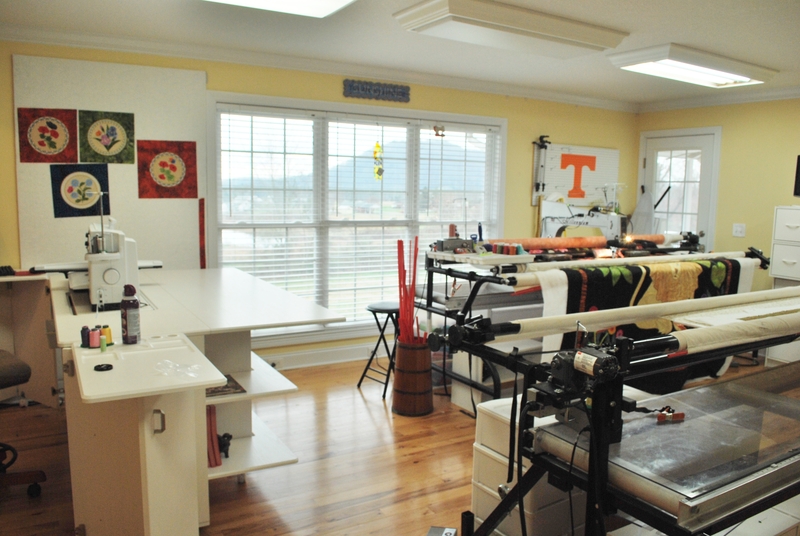 Look at those fabrics! I love the flowers on the black background. 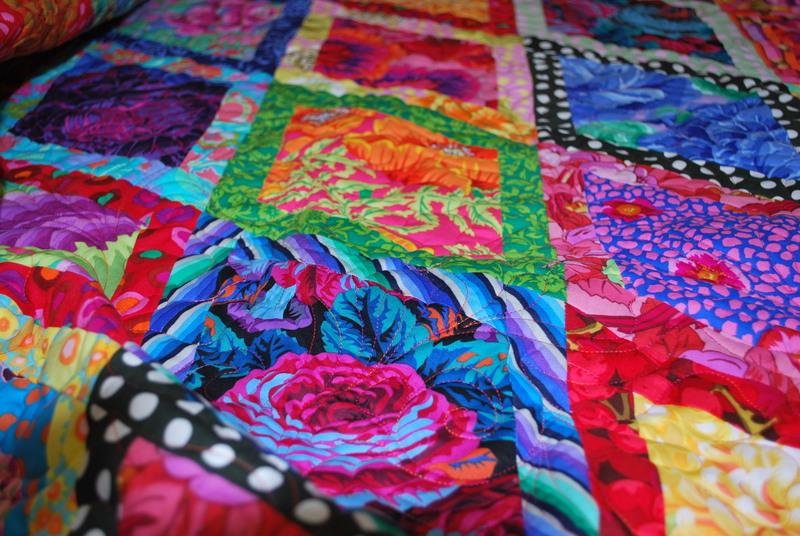 As you can see from the picture, there are a lot of straight lines within this quilt. 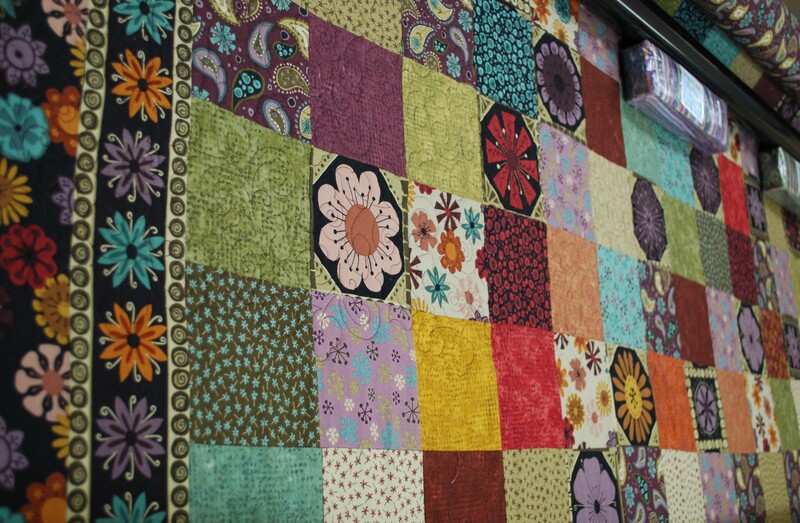 The blocks and borders create a lot of horizontal and vertical lines which makes it very important to keep this quilt straight and even during the quilting process. The first thing I do, before attaching the quilt to the machine, is get some measurements from the quilt top. Half way down from the top of the quilt, measure from side to side through the center of the quilt. 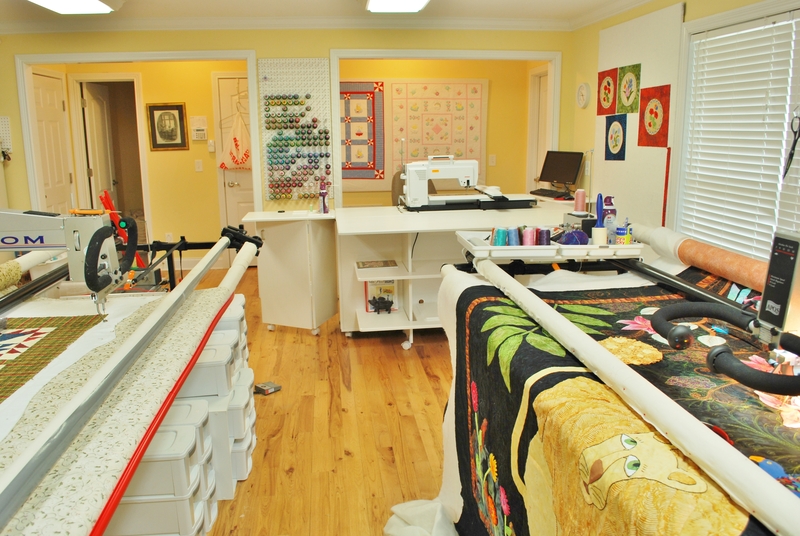 I float my quilt tops, so that means I have one leader roller that is not being used. That empty roller really comes in very handy. The muslin leader on the roller actually grips and smooths the quilt top as I advance the quilt during the quilting. 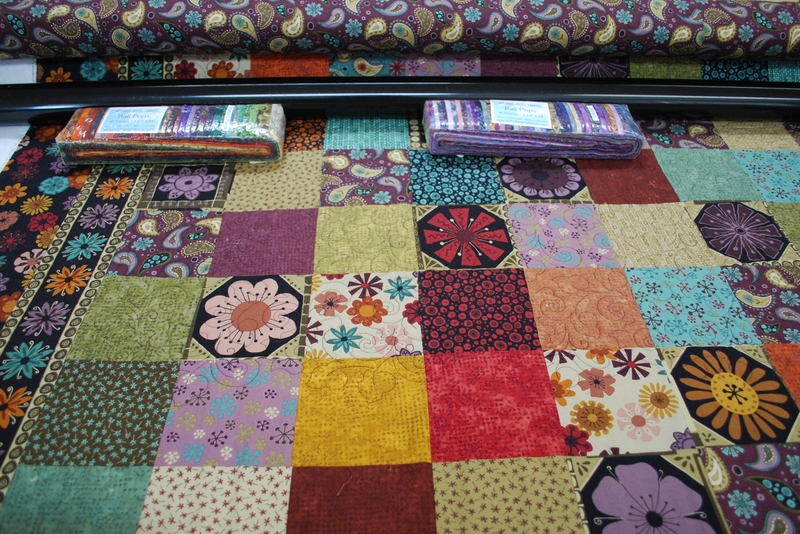 I can also use it to place markers for the width of the quilt. 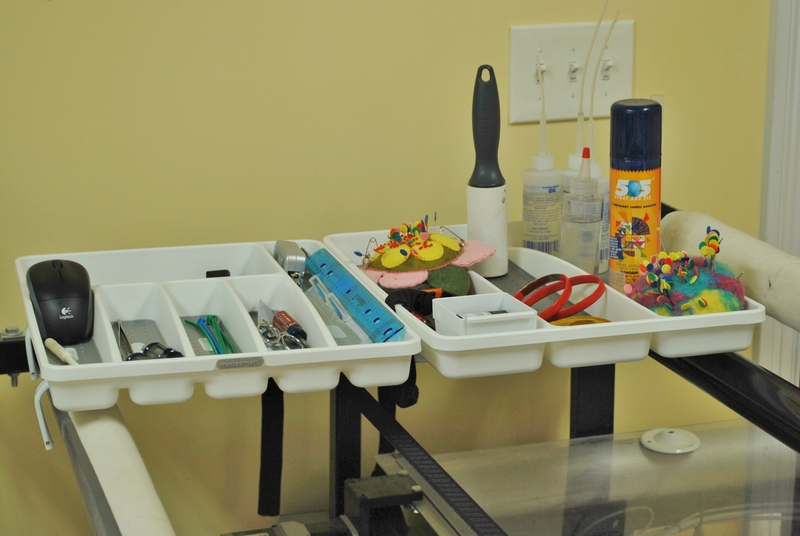 Using scotch tape, (it removes easily) I place two pieces on the leader roller and mark a black line on each piece. 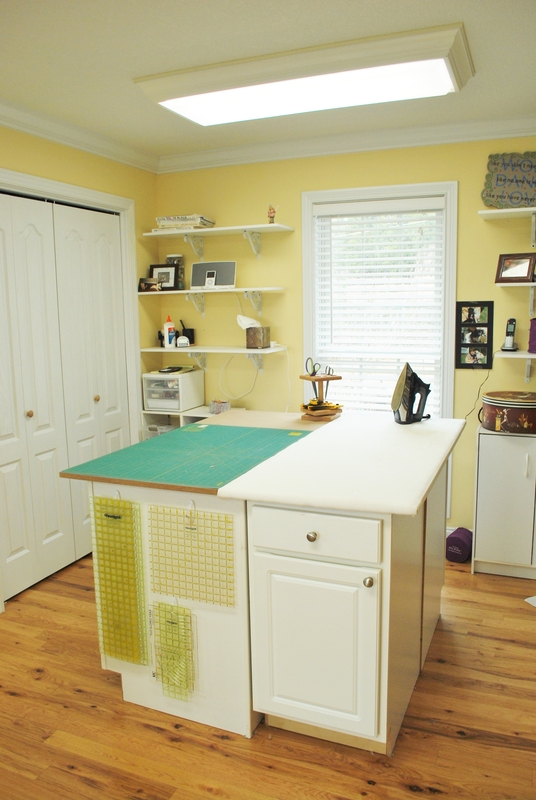 I then distance the marks from each other to equal the width of the quilt top. This helps me so much. You can see from the pic below how very handy this is. 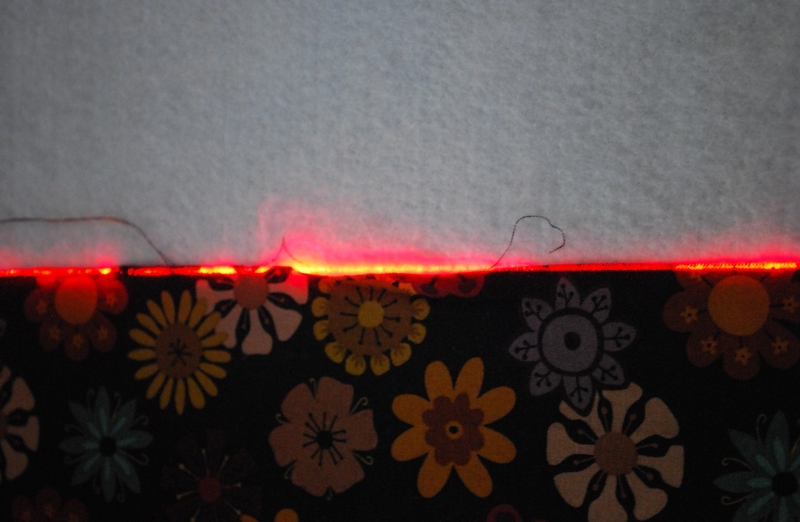 I also use a laser level and shine the red laser line from the black mark up the sides of the quilt to help keep the quilt top straight on the sides. 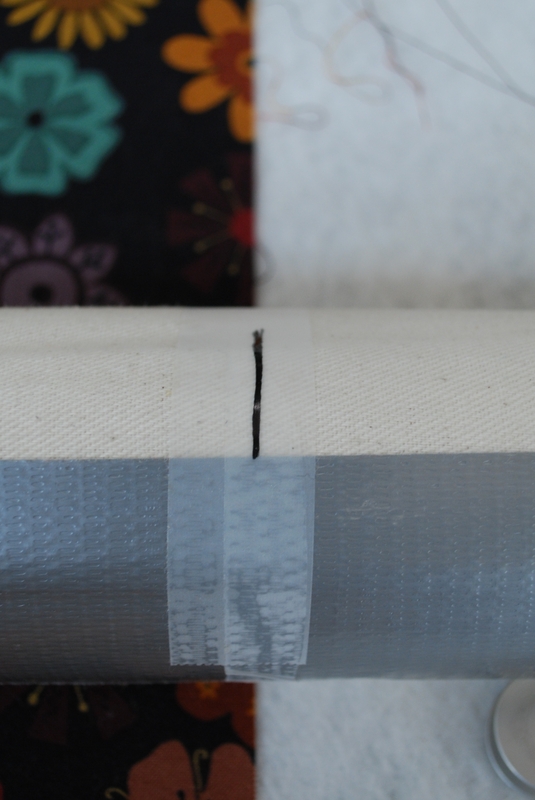 When it’s time for a different quilt, I remove the scotch tape and start fresh with new tape, marks and measurement. To get the quilt straight across the top, I use my laser level line again. 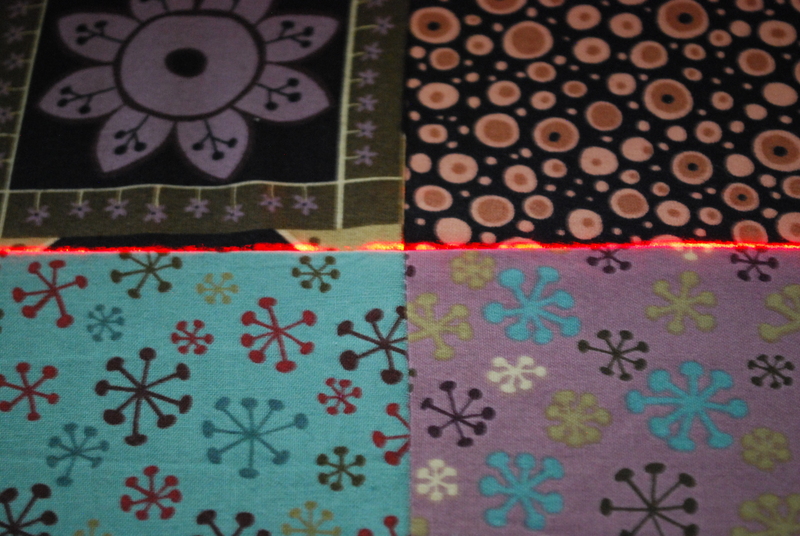 After I have attached the quilt back and batting to the leaders, I shine my laser line using the level on the leveler to keep it straight. I can then place the top edge of the quilt top on the laser line. The laser level is a very handy tool not just for hanging pictures as you can see. I purchased mine at a hardware store. They came in all price ranges, but I didn’t need all the bells and whistles, so I went with the less expensive. 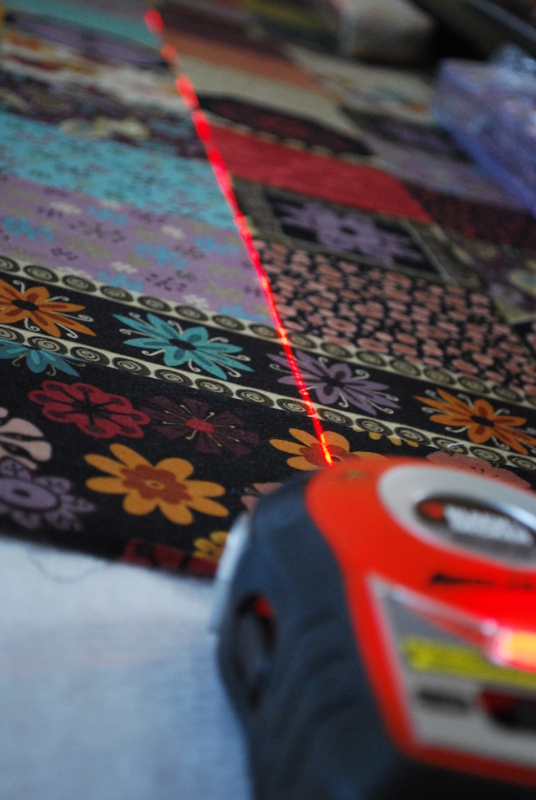 I use my laser tool to keep the quilt blocks and quilt straight throughout the quilting process. Each time I advance the quilt, I shine the line to make sure that the block lines are still straight both horizontally and vertically. 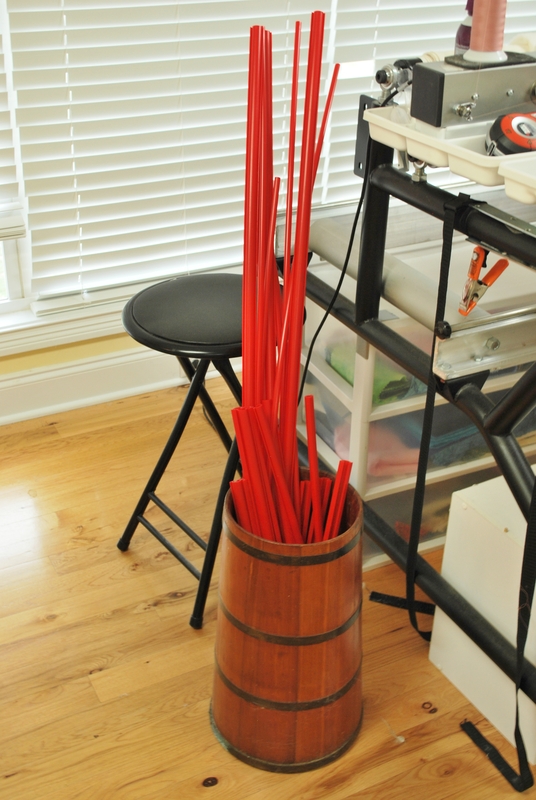 Great tool to have if you are a longarmer. 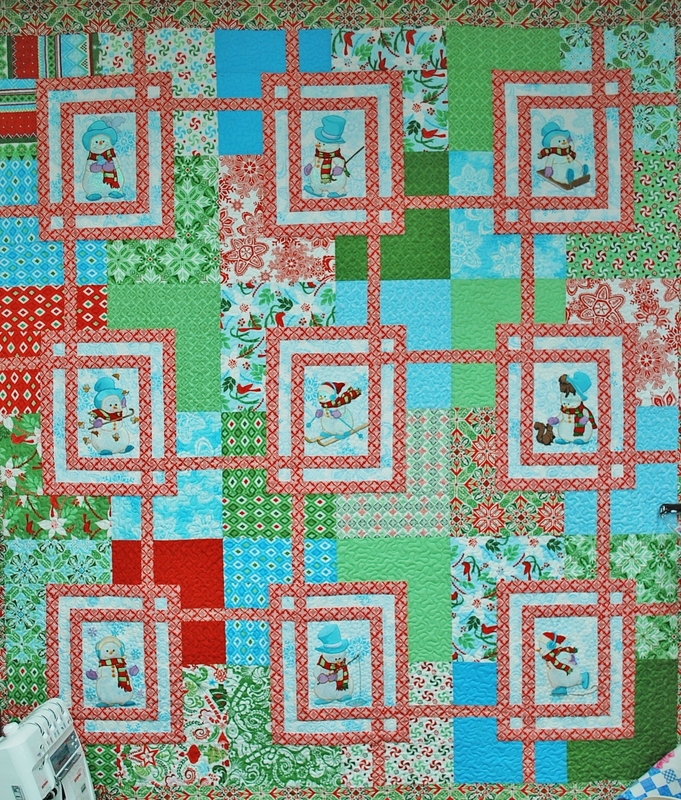 This is the design I chose for the all over pattern on this quilt. The design was purchased from Digi-Tech Patterns/Urban Elementz. 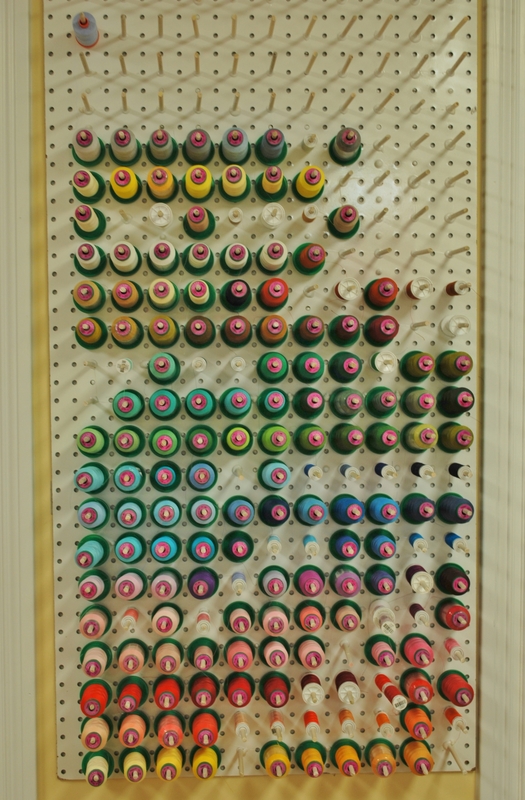 Highlights Thread from Superior Thread Company was used both on the needle and bobbin in a deep purple color. I think it looks very pretty and I am sure Sally will be happy with it. Oh, and to add one more thing. When my friend, Tom Russell, visited with me for a few days, he got a kick out of the weights I was using instead of rice bags to prevent my quilt top from vibrating or bouncing during the stitching. Yep, those are Hoffman Bali Pops! Now, I plan on using them in a quilt, but in the meantime they are much prettier than rice bags and I love looking at them. Can you blame me?